Gearbox and transmission failures can be extremely costly. 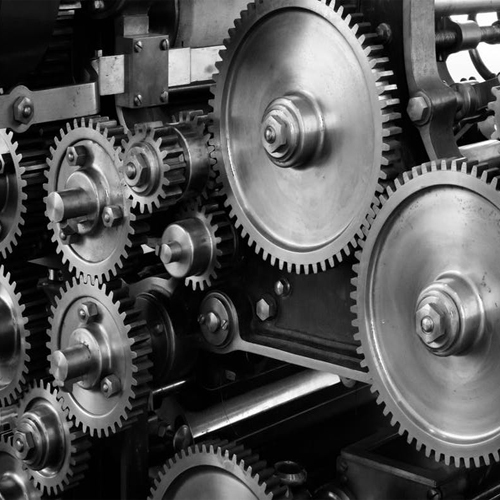 Transmissions and gearboxes are interconnecting with other internal and external components of your machinery. Therefore, a defective gearbox will considerably slow down operations or stop production. Similarly, a defective truck or bus transmission or differential may cause irreparable damage to your equipment. Complex gearboxes can have hundreds of interconnected gears and shafts rotating at high speed, which makes them constantly exposed to friction and heat. These critical components cannot tolerate dirty oil. Dirt particles from the external environment can lead oil degradation and significant gear tooth damage. Water will cause oil oxidation and corrosion of the components. Viscosity has also an incidence on gearbox operation. Excessively viscous oil will make gear rotation difficult. If viscosity is too low, the oil will lose film strength, causing insufficient lubrication, friction, heat and wear. Direct metal-to-metal contact between gear teeth results in accelerated wear, ultimately resulting in a catastrophic failure. The additives included in a gear oil have two main functions: 1) protect the oil (e.g. anti-wear additives, corrosion and oxidation inhibitors, anti-foam agents) and 2) improve its properties (e.g. : pour-point depressants, viscosity index improvers, friction modifiers. Monitoring their condition will prevent additive depletion, which is a major cause of failure. The presence of wear metal particles in oil does not only indicate oil contamination but also that the components are degrading and that your gearbox or transmission may be on the path to failure. In this context, testing your gearbox oil will allow early detection of potential problems before they impact other components and become critical to the equipment as a whole. For additional information, please view our September 2012 Newsletter.